This model is by far, the most accurate, most detailed and most highly-rigged model I've ever produced. It's suitable for the highest-end rendering, animation, or motion picture use, and is still being upgraded on a regular basis. So, this page is longer and more detailed than what you'll find for most of the other models in my catalog. The feature list, further down on this page, will always show the latest updates. I've provided a fairly in-depth outline of the model's features on this page. 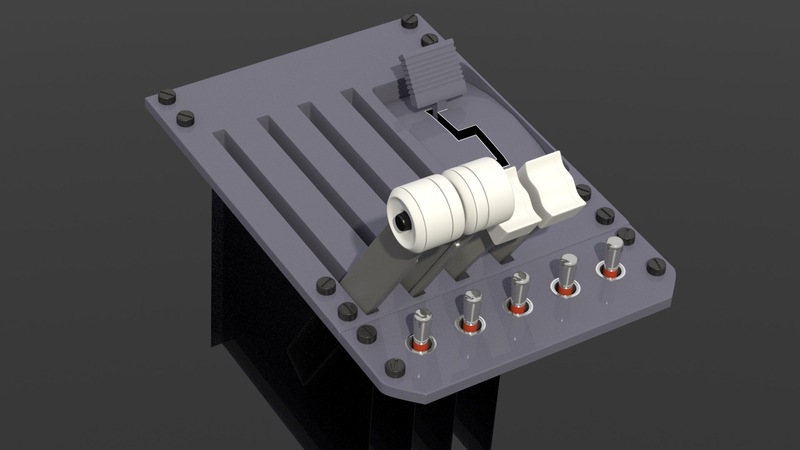 If you're a 3D modeler, or simply are curious, click here to see the follow-along article. 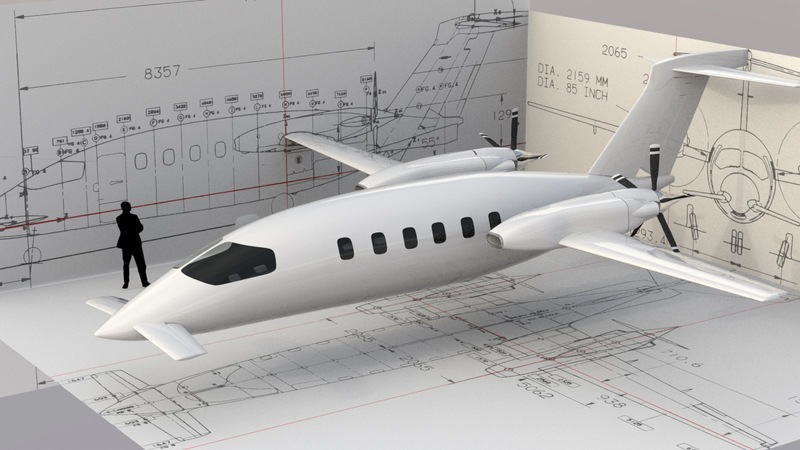 The level of accuracy and detail in this model is only possible thanks to a relationship I formed with some Piaggio engineers in Genoa, Italy, many years ago, and I can't thank them enough for their generosity. In return for their help, I promised them I would never redistribute any of the documentation used to build this model, and I've always kept that promise. 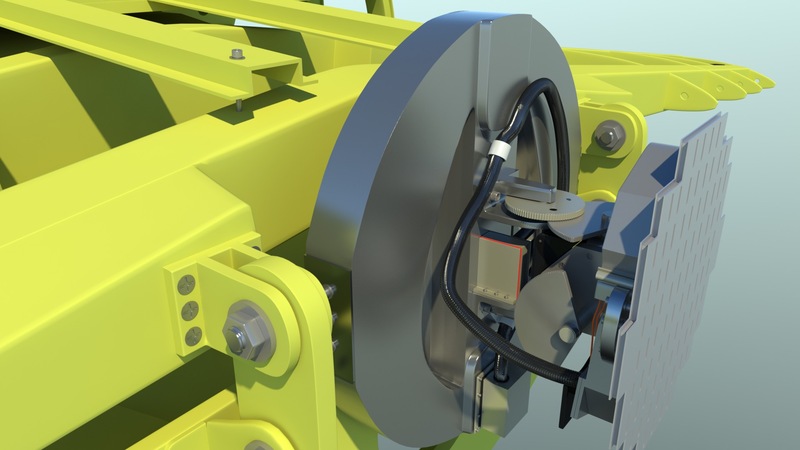 Today, unfortunately, most manufacturers are very reluctant to distribute detailed information about their products, which makes it tough for those of us who wish to build accurate models. I have a long history of researching this aircraft, which began in the mid 1990's and continues today. It's a marvel of engineering, a truly ingenious design, and in my opinion, quite a beautiful aircraft too. I've built three other versions of it previously, as hardware and software have improved over the years. 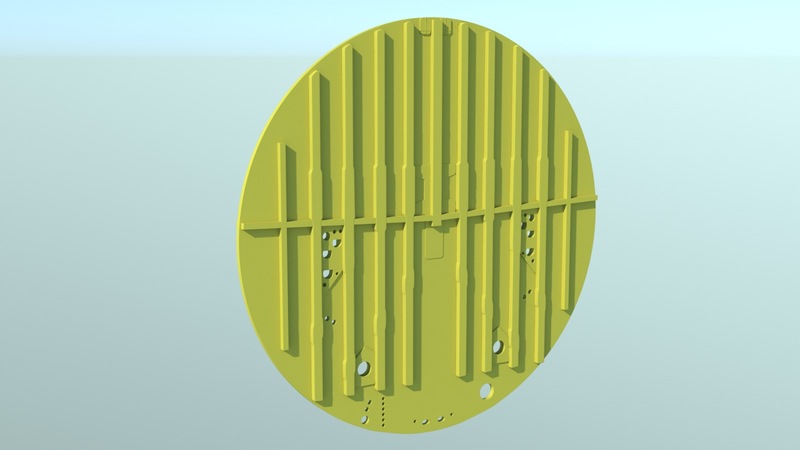 So, when I decided to "upres" this model in 2014, to all Catmull-Clark surfaces, I also decided to take this project to the very limits of my hardware and software's capabilities, and to add every bit of detail that I had documentation for. It's been quite an experience, and this model will probably remain a work in progress for some time. 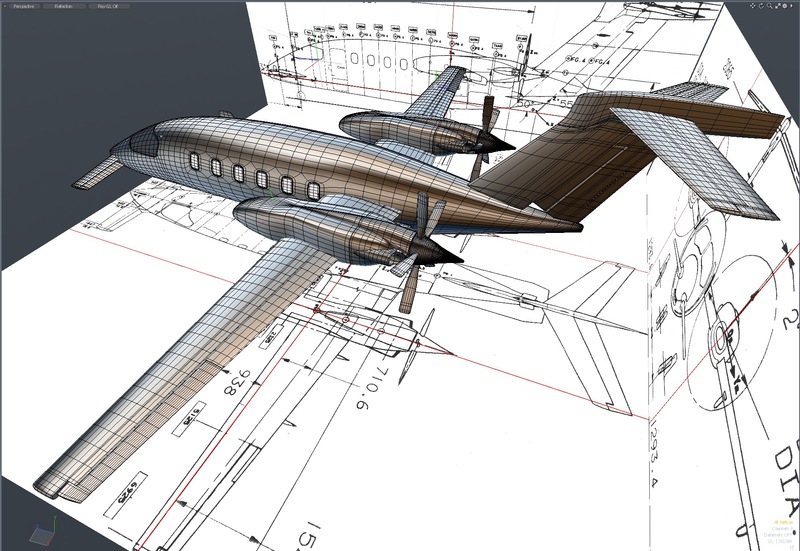 Extremely accurate exterior, based on Piaggio drawings - The entire model is composed of Catmull-Clark subdivision surfaces, ("Psubs", in MODO) and is well over 99.9 percent quad polygons. 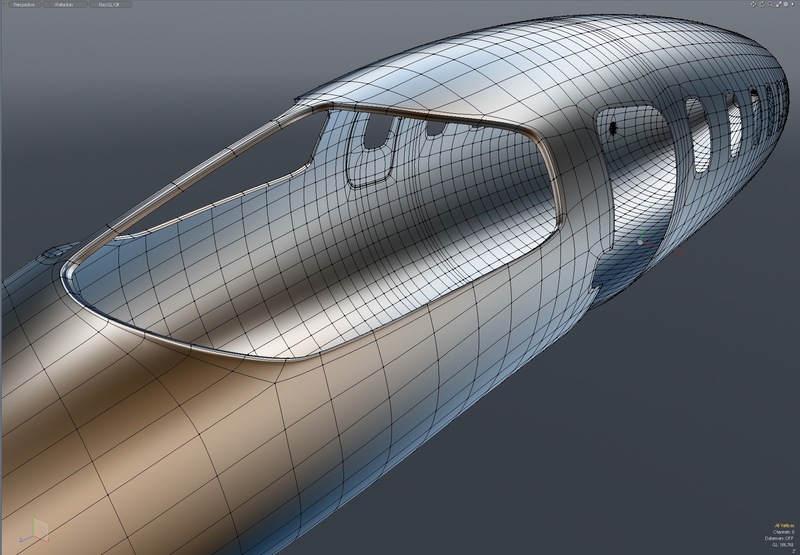 The only triangles in the model are tiny ones, on flat surfaces (such as edges in some cockpit parts) and will never cause rendering issues. With all parts turned on, the model is currently rendering at about 39 million polygons. All of the visible instruments, and all of their switches, knobs, and levers are built into the cockpit, and each one is animatable. (I'm still working on the text labeling for these, but the geometry is finished.) This even includes the detailed circuit breaker panels on the pilot and copilot side walls. Foreplane flaps (slotted), wing inboard flaps (plain) and outboard flaps (Slotted Fowler flaps, with tracks and fairings) When the flaps move, the flap control in the cockpit moves correctly to each of it's three positions. 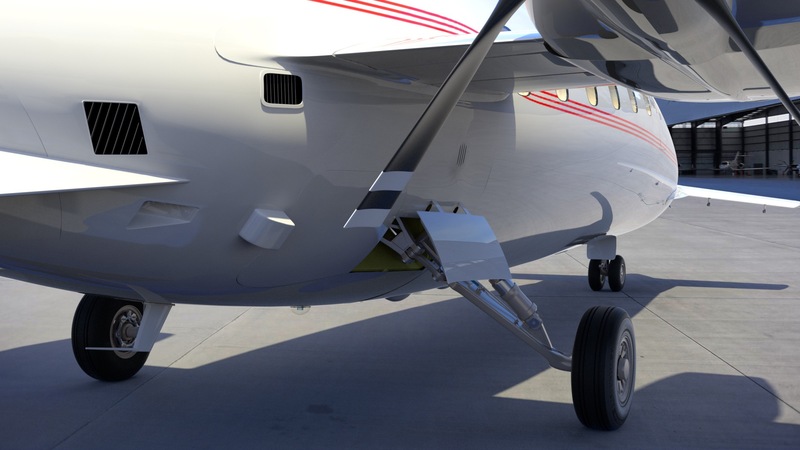 Landing gear is steerable on the ground, and retractable, with correctly-sequencing doors. 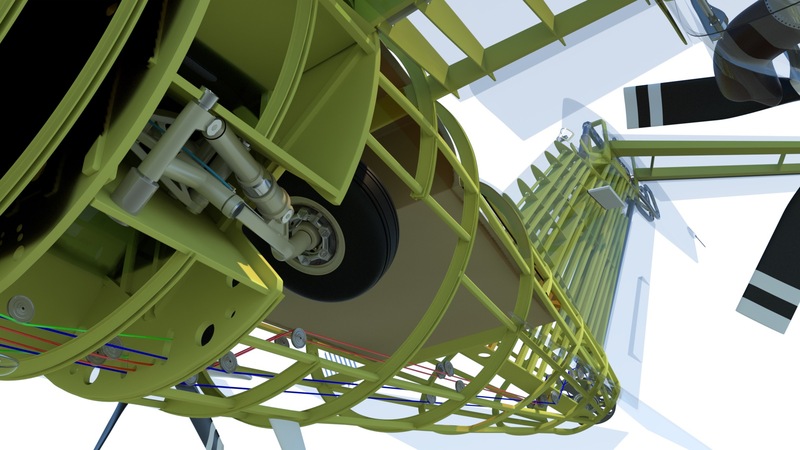 Landing gear is rigged so that it shows the appropriate overextension when deployed, (in flight) and then shows it's correct compressed position on the ground. 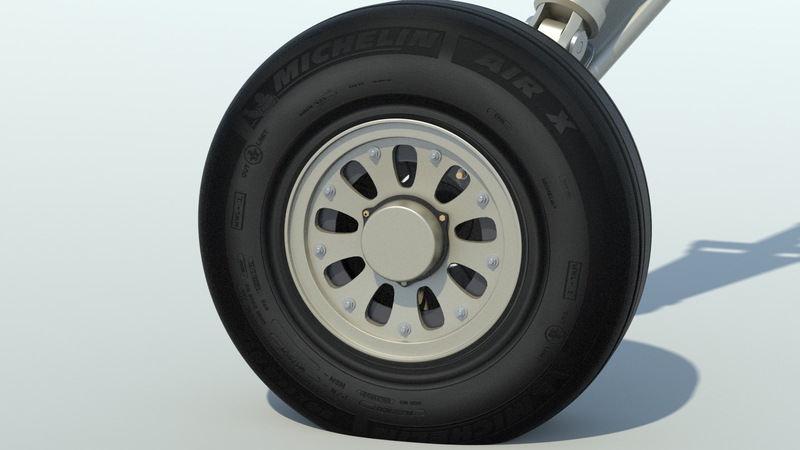 When the aircraft moves on the ground, the tires and wheels rotate realistically. Propeller pitch is variable from feathered position, through cruise, and reverse (beta) When propeller pitch changes, the propeller levers in the cockpit move accordingly. 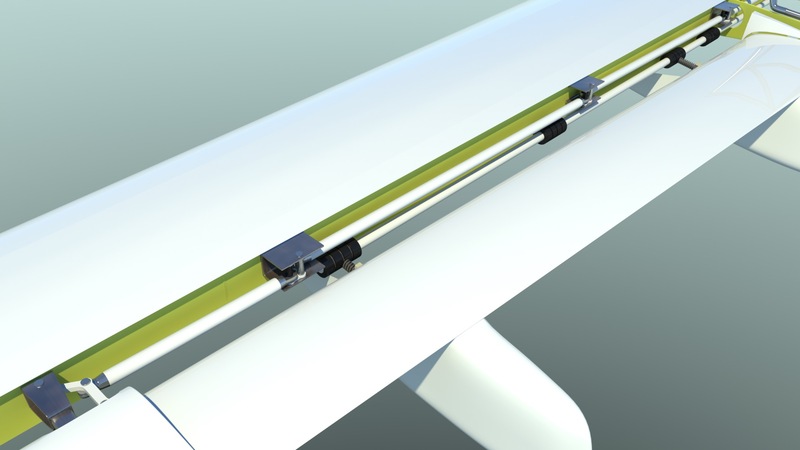 Cabin door opens and closes correctly, and includes the visible support cables when open. Baggage door (aft of left wing) opens and closes. 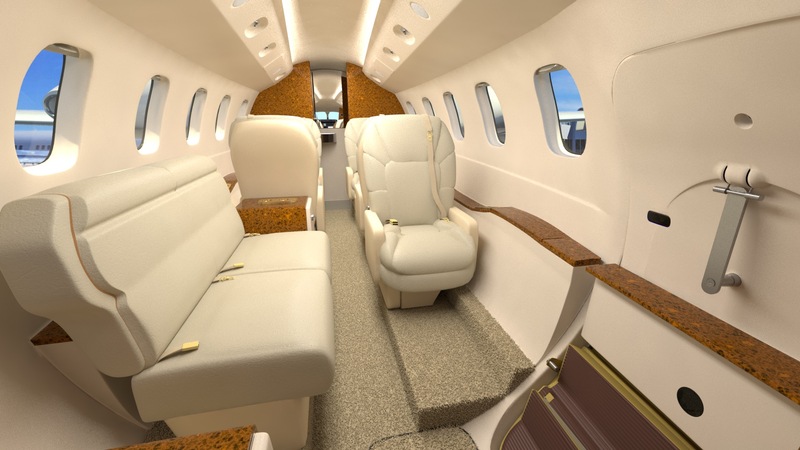 Internal lighting system includes main cabin lighting, individual reading lights, a lit lavatory, and cockpit lighting. 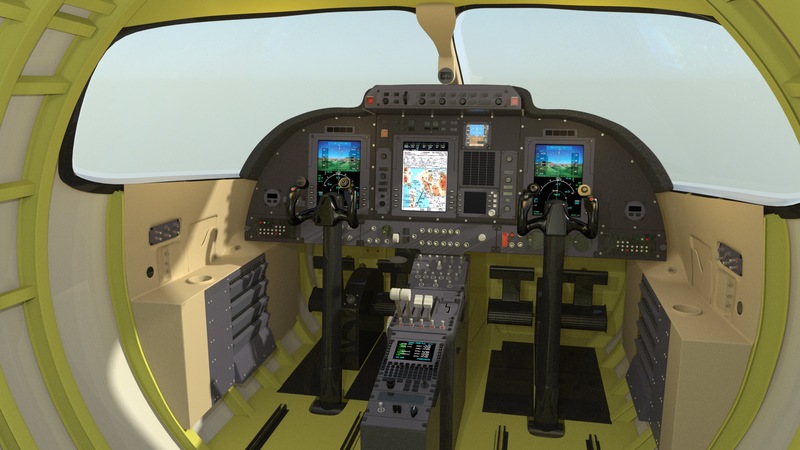 The cockpit lighting also includes the ability to turn the digital instruments (Mult-Function Displays) on and off. There is also a "Fasten Seat Belts" sign in the cabin which can be turned on and off. External lighting includes red/green navigation lights on the wings, aft-facing anti-collision lights on the wings, a flashing red beacon on top of the fuselage, a flashing white strobe on the bottom of the fuselage, a flashing white strobe on top of the vertical fin, and a recognition light built into the leading edge of the vertical fin. 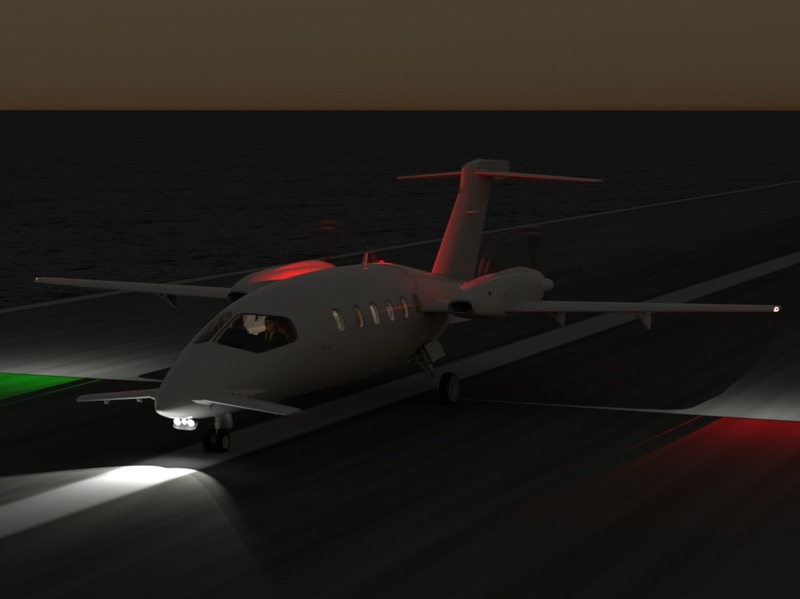 This system also includes taxi lights and landing lights on a separate, animatable door, as on the actual aircraft. All of the external lights that flash are keyframes to produce realistic rates. Each passenger's window shade can be opened and closed individually. 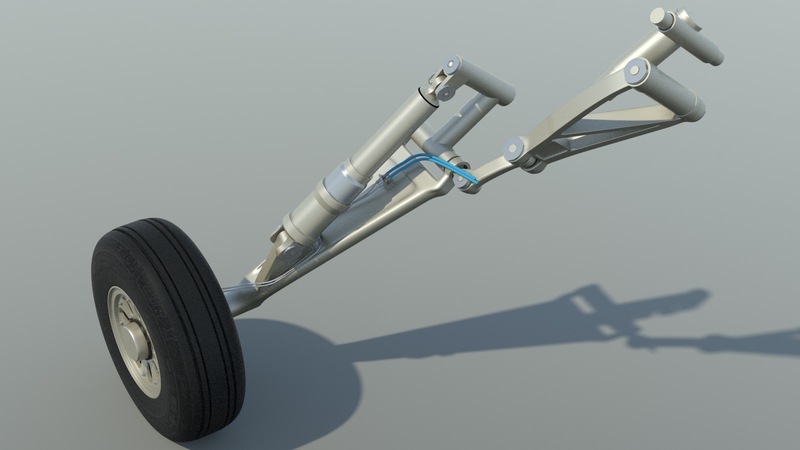 Each passenger's folding tray table can be opened (2-positions) and stowed individually. 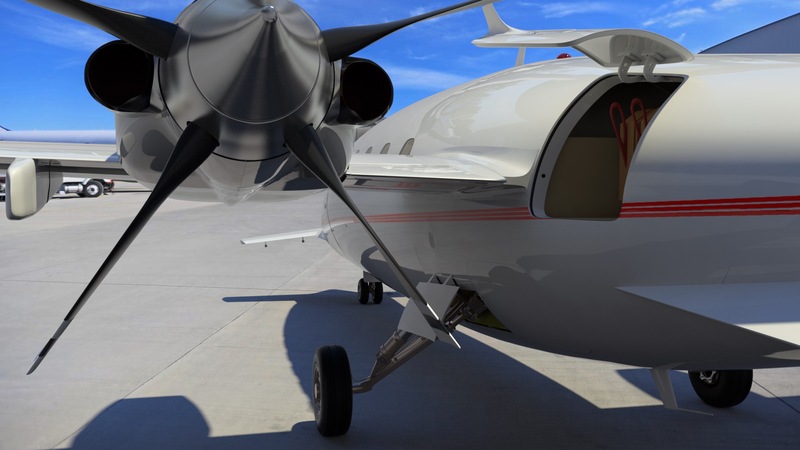 The lavatory door opens and closes using a telescoping door, as on the actual aircraft. The lavatory includes storage cabinets, two mirrors, a toilet, and a sink. There are beverage containers and drink holders around the cabin, as on the actual aircraft. The animation controls include the ability to make the outer skin transparent, thus showing the internal structure, as though the outer skin was "glass". 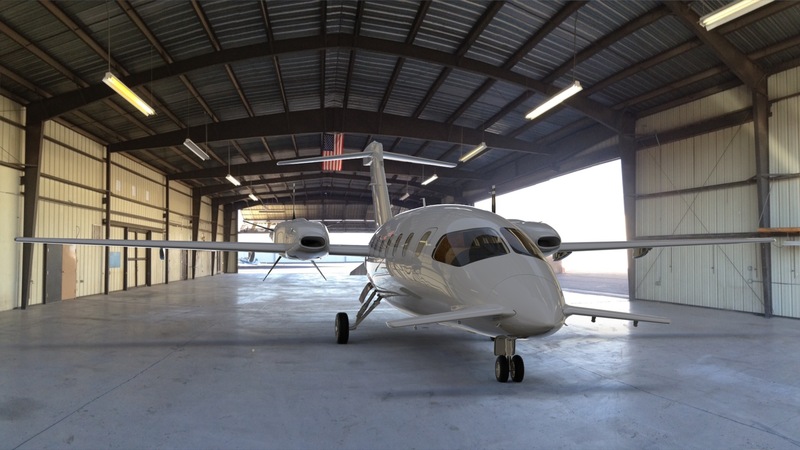 This is set up so that the cabin liner also becomes invisible, so that you can see into the fuselage. 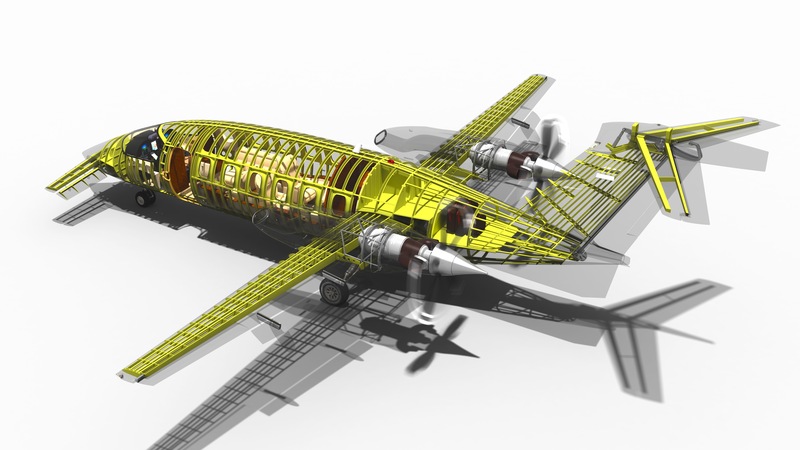 Of course, those parts can be turned on and off "manually" too, so that the aircraft can be rendered with or without any of the hidden internal structures showing. All cables and pulleys, and the associated servos for the control system are depicted, and run realistically from the cockpit, out to each individual control surface. 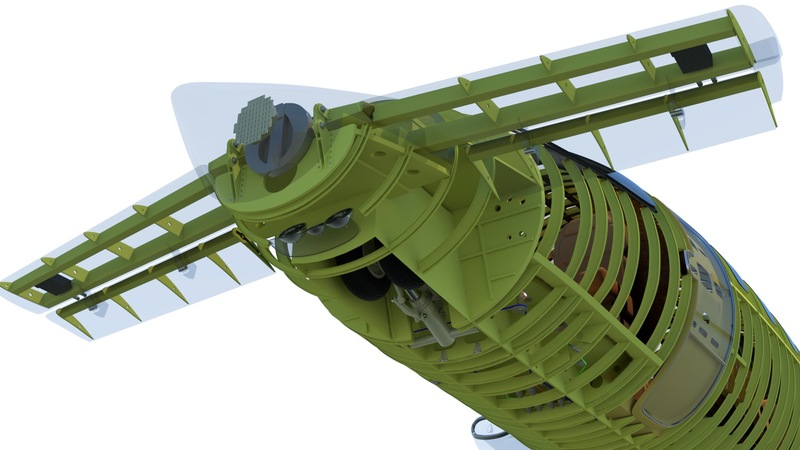 This control system includes the push=pull rods for the ailerons, the rotating tubes for the flaps, and animated jack screws for the flaps. Interior structural parts are modeled as closely as I could get them with my documentation. Naturally, I can't add every single rivet and screw, but there is a huge amount of detail around the aircraft... certainly enough to clearly depict the function of each part. Where closeups are likely, screws, rivets, and other connectors were added. 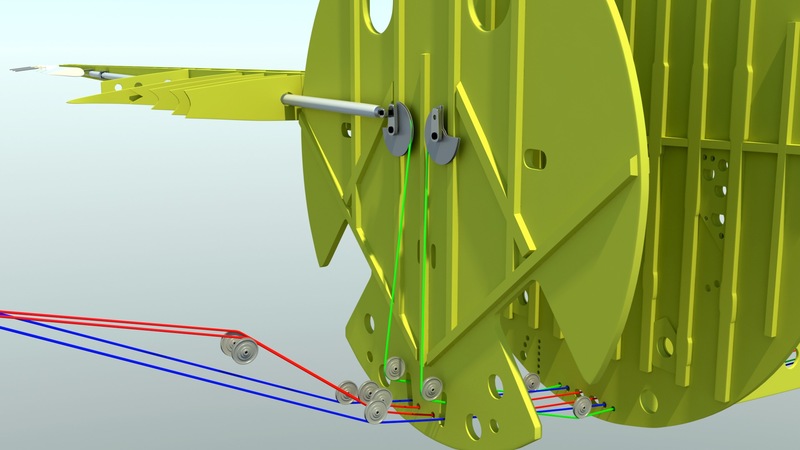 All formers, stringers, ribs, etc., have realistic thickness, and include holes where required, for electrical wiring, hydraulic lines, pipes, and so on, to pass through. I've completed the control system mentioned above, but will also be adding electrical, hydraulic, fuel, and engine bleed air pipes. The weather radar in the nose is roughly modeled after the Rockwell-Collins type, and both it's sweep and tilt are rigged for animation. Typical examples of further detail are the fuel system, including it's tanks and plumbing, various vents, intakes, fuel filler locations, external lighting fixtures, antennas, and static wicks. Each of the renders below is larger than what will display in your browser. To view any of them in higher resolution, just drag them to your dekstop. 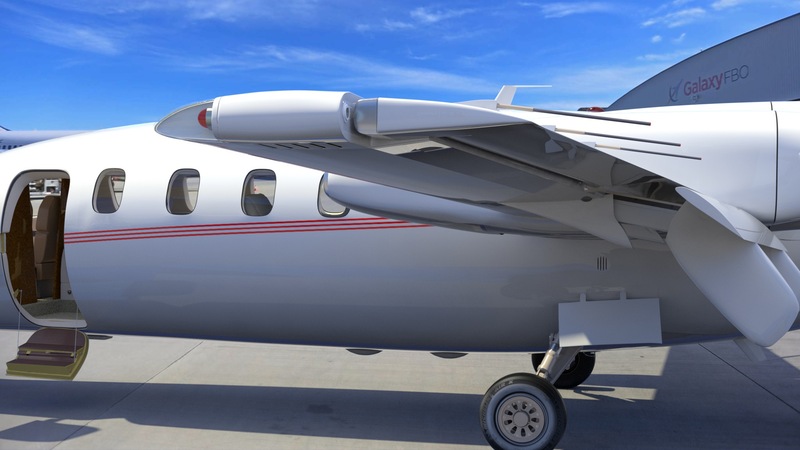 Construction began with a precision Catmull-Clark exterior, based on Piaggio drawings. This is where the most time was spent focusing on accuracy, and provides limits for all of the internal structures that follow. All exterior geometry that would later be animated, or simply shown as separate parts, was separated into it's appropriate hierarchies. 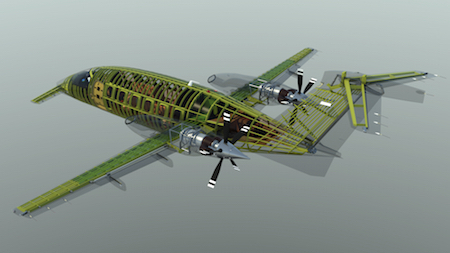 (Fuselage, Wings, Tail, etc.) Although MODO supports edge-weighting beautifully, I did not use it on this model, in order to make it exportable to more file formats. First, major structural elements such as bulkheads, were created. These provide references for where major elements join together. All components in the cockpit are actual geometry, with each button, lever, and knob made to be individually animatable. Wherever there were multiple copies of items like screws, time was taken to slightly rotate each of them, to look more natural. 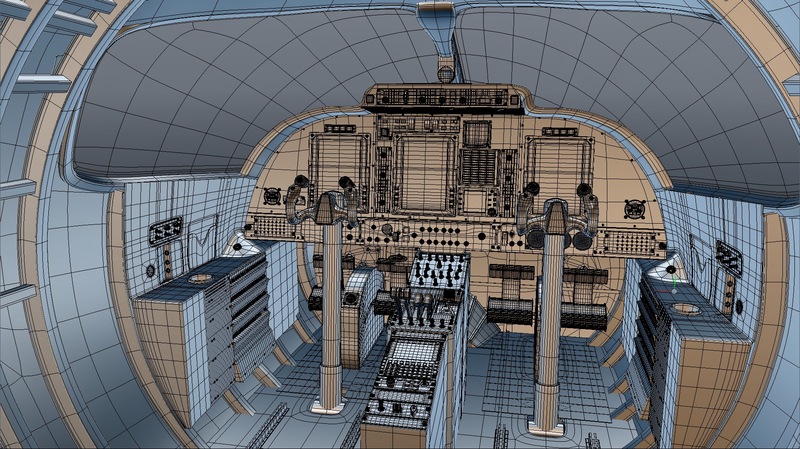 All of the cockpit parts were also separated into logical hierarchies, such as "Main Panel", "Center Pedestal", Control Yokes", etc., for later animation. 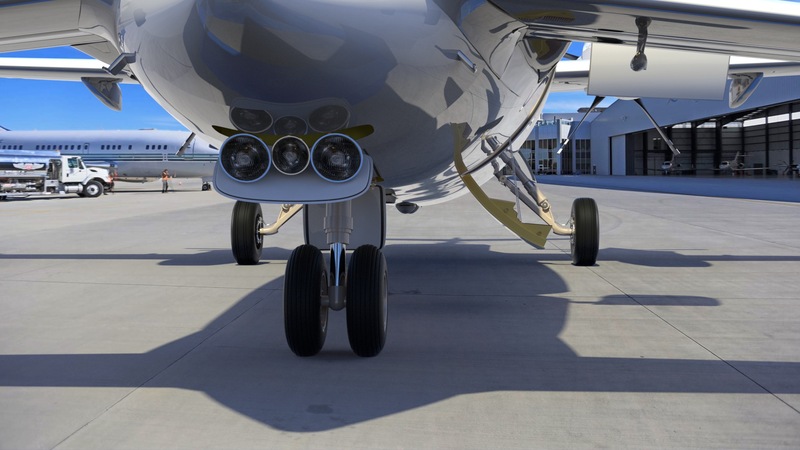 As with the rest of the model, the landing gear was completely rebuilt from scratch for this version, resulting in better accuracy, and more realistic animation of all of the moving parts. All exterior lights work as they do on the actual aircraft, and those that flash have realistic rates already keyframed. 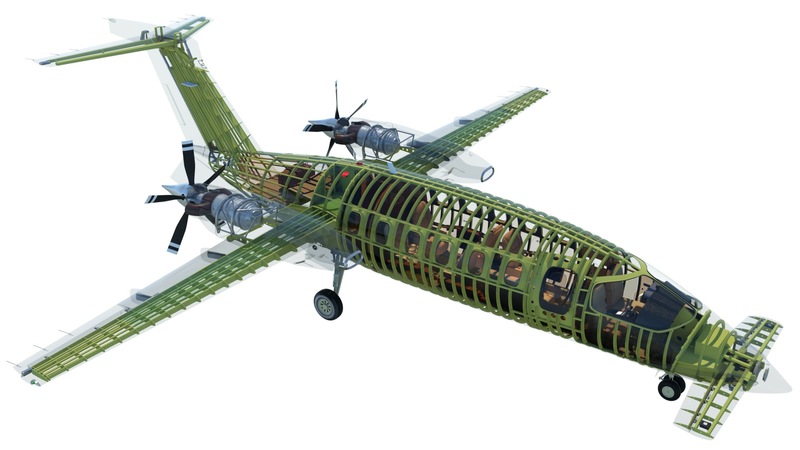 From the beginning, the model was set up so that it could be displayed as shown below, with the internal structures visible, in "modules", like you'd see on the factory floor, or with the external skin covering those parts, as you'd see it in real life. 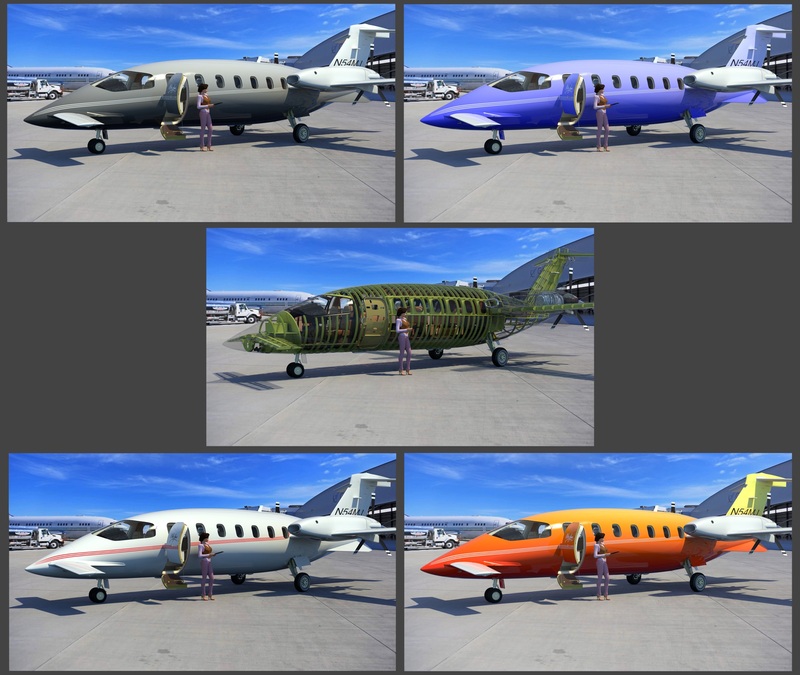 All of these color schemes are included with the MODO version of the model, and are easily customizable.